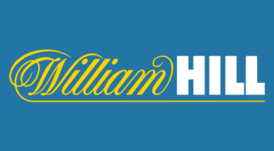 Play William Hill Poker free or with a huge deposit bonus! William Hill Poker is not only one of the biggest and most popular places to play online, but it is also one of the most reputable and oldest as well. The virtual doors were opened to players in the United Kingdom in 2002. Currently, residents of the United States are not allowed on the site. There is a considerable following on the site, with most people playing there being British. There are also people from around Europe who enjoy William Hill poker and all it has to offer. In 2009 a virtual face lift was done to the website with the lobby being rejuvenated along with more additions to the gaming software. According to many of the most passionate members, the upgrade made the site much more user friendly and fluent. It is quite clear that when the software for the company was updated, the interface was the focus. The programs run quite smoothly and there are very few technical issues when you are playing a hand. There are several recent updates that have provided features that were requested by members such as a buddy list to find your friends online, hand for hand play for the bubble in tournaments, auto-top up, and a fast seat option. Perhaps the only issue that people may have when playing is the graphics. There are only a small number of avatars from which to choose. However, if you are just there to enjoy the game you will find that once you get used to the graphics you should not have any issues as the action is great. If you are new to the site you will find that there is a very generous welcoming deposit bonus available just for signing up for an account. The benefit is a 100% matching bonus for up to $600 or €450. When you take to the tables you will be awarded with points and once 350 points are earned, $5 is released into their bonus dollar account. The promotion will take a bit of time to release, but is well worth it as it provides you with free money to bet with.